I’m at it again! Here are some pictures of the art that I created using my kid’s handprints and some finger-painting! 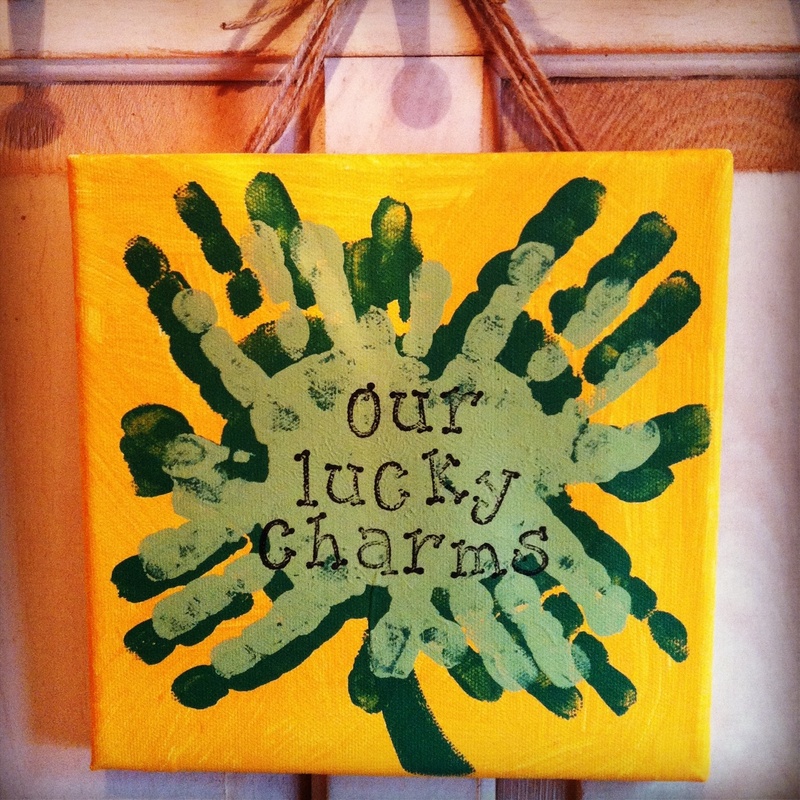 To make this shamrock I used a small canvas that I bought on sale at my local craft store. 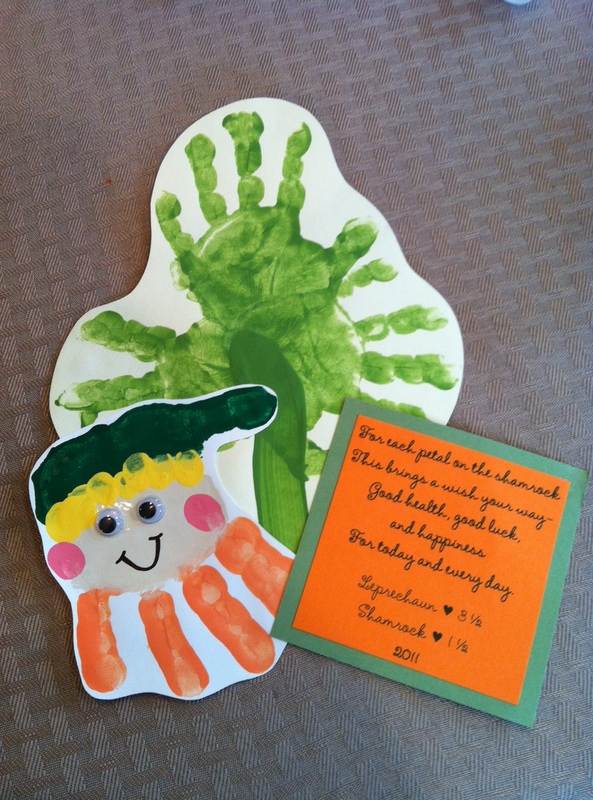 I let me son paint the background orange and then I used a different green color for each of my kid’s handprints. To add the lettering I used rubber stamps and paint! This one is my favorite! 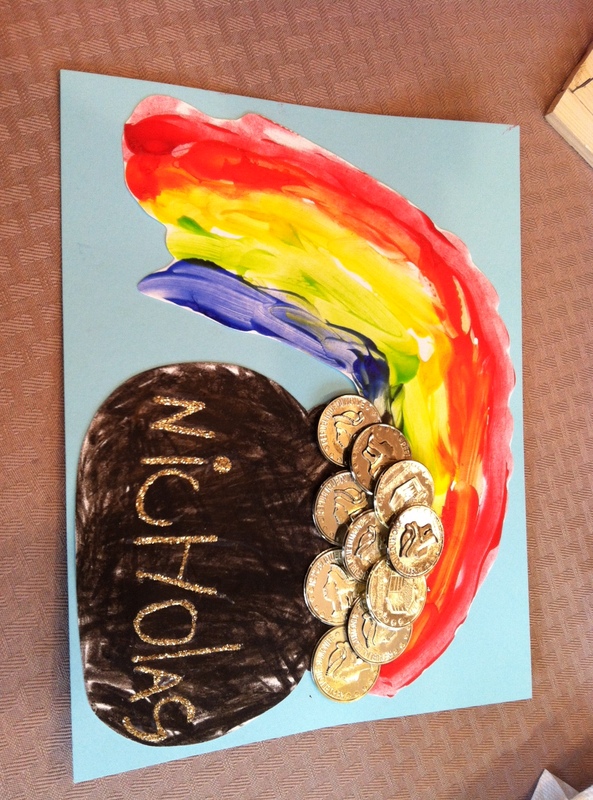 I had my son finger-paint the rainbow and color the pot of gold with crayon. 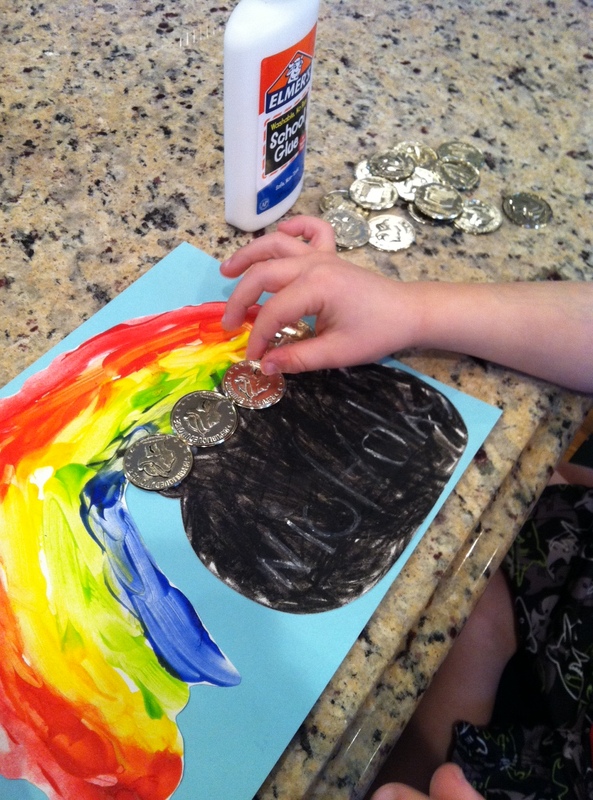 Once the rainbow was dry he glued on his own “gold” coins that I purchased at my local dollar store! My son wrote his name with a white crayon and I went over it with gold glitter glue! You can do this with the shamrock and leprechaun like I did or do them separate. I had my daughter do the shamrock and son do the leprechaun so they each got to do their own thing. My son used his fingertips to do the hair and pink cheeks. 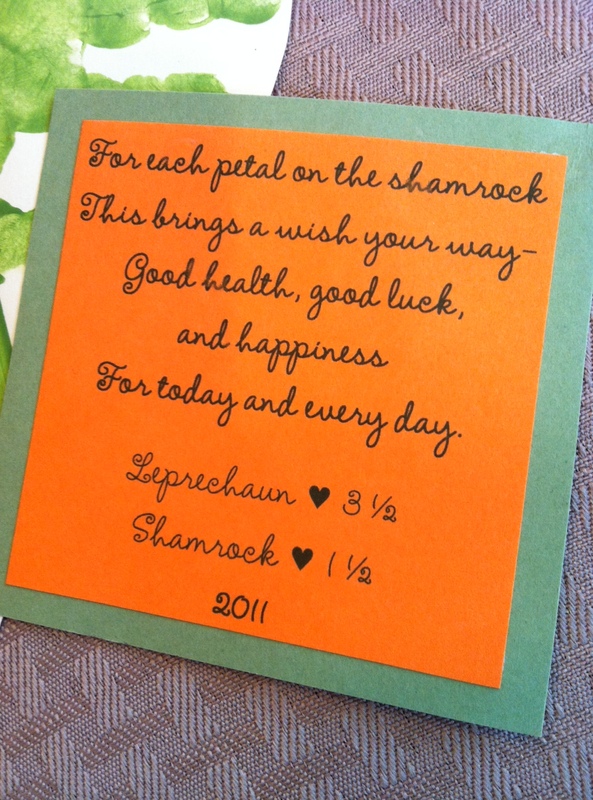 I attached a cute saying and sent these to our family for St. Patrick’s Day! Christmas,Valentine’s Day, and Patriotic Holidays!